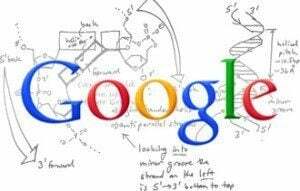 In a quest to maintain its death grip on the search engine marketing industry, Google officials in recent years continually upgraded their algorithms that impact which websites rank where on Google search results. The placement of websites on search results is critical to search engine marketing. When Google officials create new algorithms to determine which websites deserve the highest pay-per-click and organic search results, some online businesses suffer such drastic losses they cease to exist. In many ways, that is exactly what Google officials attempt to do when they roll out a new algorithm. Sometime around 2010, Google officials began a still-continuing push to provide the most relevant search engine results possible. That effort includes eliminating Spam sites, third-party sites that exist solely to redirect visitors to another website and others types of websites that don’t offer tangible information, goods or services relevant to the search terms used. Many sites that existed to generate insurance leads, for example, suddenly found themselves no longer appearing on the first and sometimes any pages on Google search engine results. Instead, a combination of computer-generated analysis based on an algorithm and physical inspection by Google employees determine whether or not a site is one truly relevant to the keywords in the search terms. If so, higher rankings and lower search-engine marketing costs are the result. Google officials want a unique user experience for visitors to websites, such as being able to obtain a product or service or learn more about whatever it is someone is searching for on Google. Providing quality search engine results means Google will maintain its dominance of online search engine markets while ensuring people obtain the types of information from truly unique websites offering a positive user experience. What do you like to see by way of media on websites, such as videos, music, text and graphics?